The prefecture of Aomori is at the northern part of Tohoku. Only 1.3 million people are living there. 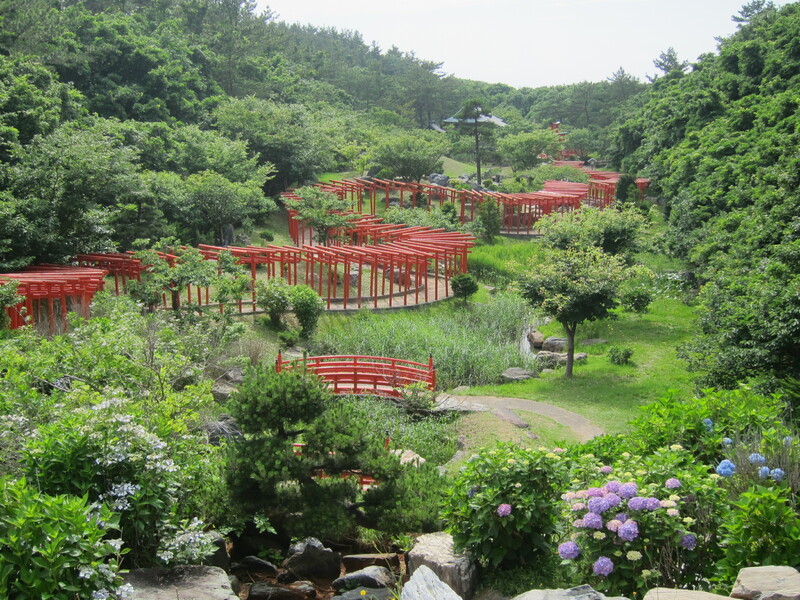 Aomori has a very beautiful coastline and nature areas. Especially during the winter when all is full of snow it looks like a fairytale. Unfortunately it is kind of difficult as a tourist to go around, except in the bigger cities. Trains are operating not that frequency and for some sightseeing spots it is even impossible to go there by train or bus. The best and fastest way to explore Aomori is by car. At the west coast close to Tsugaru is the beautiful Takayama Inari Shrine. If you want to go there from Aomori City, just use the Resort Shirakami train bound for Akita to Goshogawara station (alternative JR Ou Line and JR Gono Line). From there you have to use the local Kanon bus bound for Goshogawara/Kodomari to the station “Takayama Jinja Iriguchi mae”. It takes around 40 minuts from Goshogawara station. The bus runs around every 1-2 hour, that´s why you should better check out the schedule before. 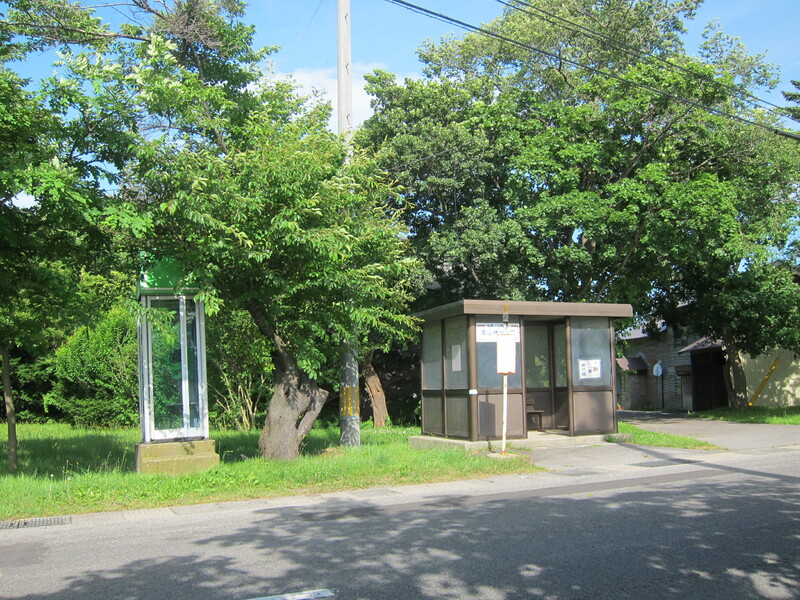 The bus stop is not really close to the shrine, even the station name says so. You have to walk about 3.5 km (around 40 minuts) to the shrine from the bus stop. Or you can use a taxi which costs around 1300 Yen. The Taxi number is written at the bus stop. The Takayama Inari Shrine is known as Aomoris best spiritual shrine. Mostly people going there to pray for good business, a safe journey and an abundant harvest. There are many smaller and one big shrine on the way to the main shrine. Before you are reaching the shrine you have to walk through 205 red gates. 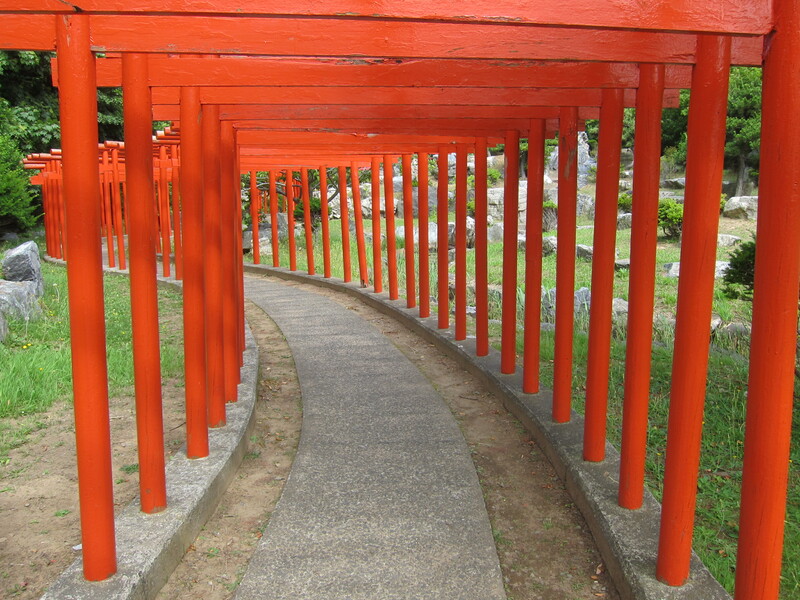 It is very similar to the Fujimi Inari Shrine in Kyoto but less known. The gates are very colorful and beautiful. 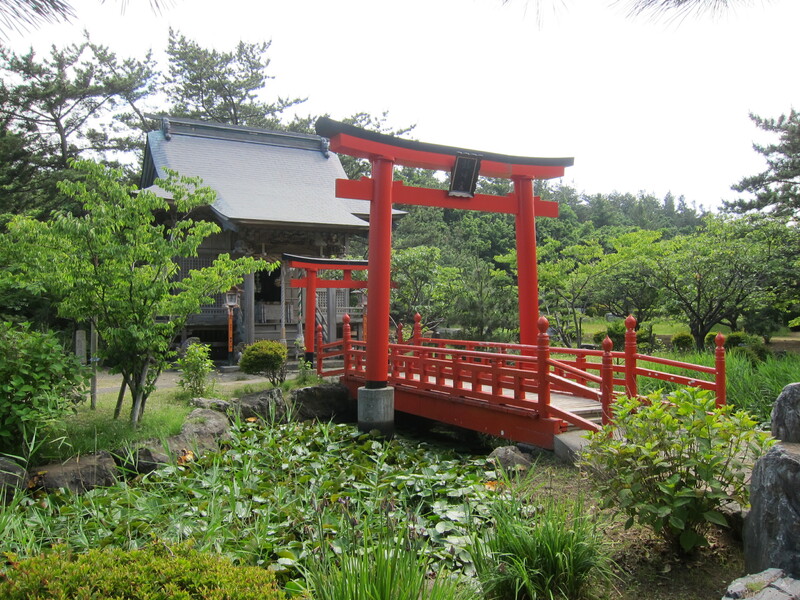 The gates are standing in a small forest and a nice Japanese traditional style garden. It is a perfect photo spot especially if you are wearing a yukata or Kimono. 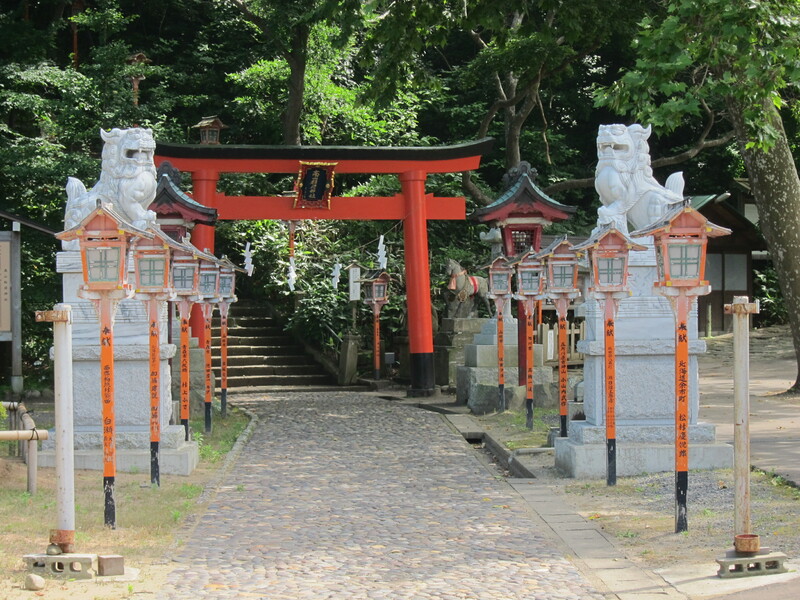 Inari Shrines are very popular for their fox statues, which are supposed to be a messenger to the god of the shrine. You will find many old fox statues from whole Japan there. After they fulfilled their function, they were brought to the Takayama Inari Shrine. The shrine opens from 08:00 - 17:00 h. The last bus from the shrine leaves at 17:46 h, so please watch out not to miss it. This is the only Inari shrine in Hokkaido. It is said this shrine brings good luck for good relationships.